If you recently installed a Netgear GS108 switch, only to find network performance issues to devices connected to that switch, odds are it's the switch. But why? 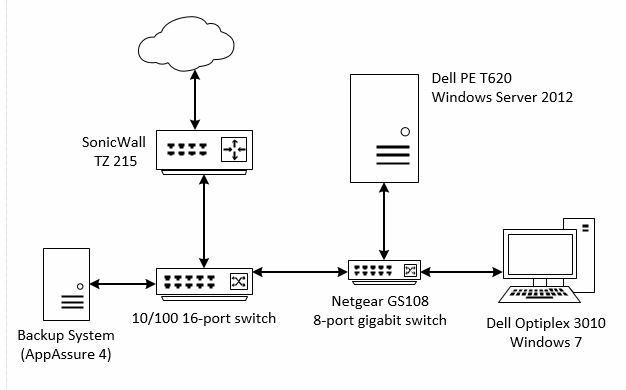 Why would a brand new gigabit switch, connected to a brand new Dell PowerEdge T620 and Dell OptiPlex 3010, have high latency? Turns out that the Netgear GS108 is no good at managing duplex settings when mixing 10/100 connections with gigabit. Changing the network adapters on our Server from "Auto" to "10/100 Full Duplex" resolved our issues instantly. In this scenario, we have a SonicWall, a 10/100 switch, the GS108 switch, a Server, a Server backup system, and a workstation. 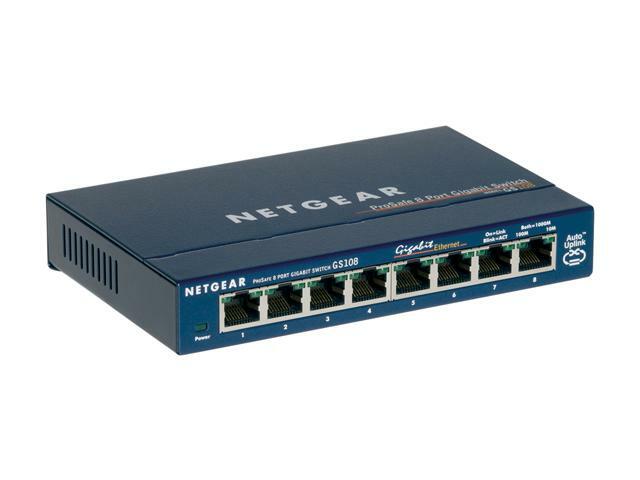 Between the 10/100 switch and the GS108 is a single CAT5e Ethernet run spanning two floors. (The Server is stored in an office while the router is at the FiOS D-Mark.) We noticed that connections from the workstation to the Server were incredibly slow at times, with PING responses averaging around 500ms-1000ms. Not all of the time, just moments during the day. The employees would experience slowness and delays in QuickBooks while I received alerts that LabTech stopped checking-in on the Server. Knowing that AppAssure runs every hour, I forced a snapshot and applied a constant PING from the Server to the AppAssure computer. Response times were terrible. Once the snapshot was stopped, responses were back to <1ms. After reading the blog, I manually changed all of the NICs on the Server to operate in "10/100 Full Duplex" mode. Instantly my issue was resolved. No changes were made on the one workstation on the GS108, even though that NIC was set to "Auto Detect". For now, we are operating at 10/100 speeds. We have a new 24-port gigabit switch ordered to replace the 10/100 in the D-Mark room. Once all connections are gigabit capable, we will revert the changes on the Server NICs. We are looking for a replacement brand / model 8-port gigabit switch for these situations.